Brushing teeth every day, proper flossing, oral hygiene, regular dental checkups are important to maintain good oral health. Neglecting any of these can really create a havoc on teeth and gums. 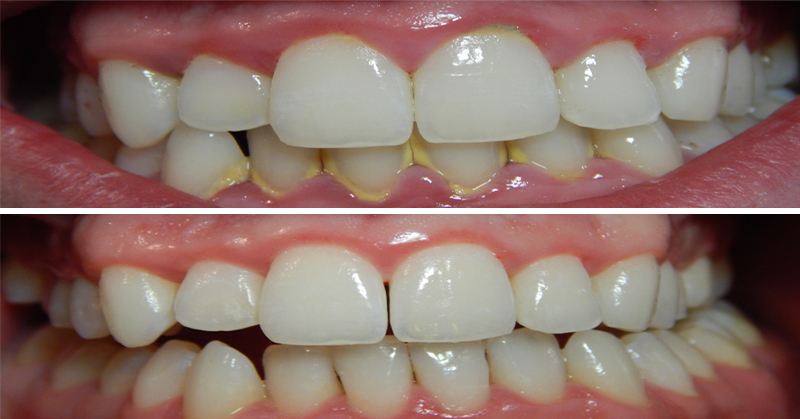 Improper brushing can lead to plaque formation that when ignored forms tartar, a solidified plaque. This would finally lead to several teeth and gum diseases. Therefore, it is important to know how to remove tartar from teeth so as to prevent the other threatening oral diseases. Tartar cannot be easily removed and often requires professional help. Dentists may need to remove tartar using various instruments by scaling. The process may require plenty of patience and is also painful, if the tartar has been accumulated over the years and has affected the gum line. The best prevention is through proper oral care, brushing vigilantly and flossing regularly. This home remedy helps in removing tartar without any additional expenditure which will be otherwise incurred if treated by your dentist. Baking soda is one of the most popular and effective tools for removing plaque.Hydrogen peroxide is commonly used in dentistry to whiten teeth, get rid of plaque and help treat gingivitis and periodontitis. Mix one tablespoon of baking soda with ½ a teaspoon of salt into the cup. After you wet the toothbrush with warm water, dip it into the mixture. Scrub teeth with it and spit. Continue the same process for five minutes. Mix a full cup of hydrogen peroxide with ½ cup of warm water and rinse your mouth for one minute, then spit and rinse with ½ a cup of cool water. Rinse mouth with an antiseptic mouth- wash and repeat the procedure every second day. Tomatoes and strawberries are rich in vitamin C which is good for your dental health. Just rub the fruit on your teeth and let it remain on your teeth for at least 5 minutes. This will soften the tartar. You can then wash your mouth using the solution. Other foods which can be used are lime, lemons, berries, peppers and papaya. Another home remedy for tartar removal is rubbing orange peels directly onto the teeth. Leave it overnight without rinsing. Orange peels can also be made into a paste and applied on the teeth. It helps to fight tartar forming microorganisms in the mouth and is a cheap natural way to whiten the tartar stained teeth. It is a great idea to munch an apple, musk melon, carrot or celery sticks. Chewing these fruits or vegetables one hour after meals is recommended for cleaning your teeth naturally. This not only removes any food particles, plaque or tartar on your teeth but also strengthens gums. Another simple home remedy to remove tartar from teeth is sesame seeds. Slowly chew a handful of sesame seeds, but do not swallow them. Brush your teeth with a dry toothbrush with the chewed sesame seeds still in your mouth. These seeds act as a natural scrub. They clean, polish the teeth and help to remove tartar. Eating figs is another way of cleaning the teeth and strengthening the gums. Eat 3 to 4 figs at a time and chew them slowly together. The process stimulates the salivary glands and increases the secretion of saliva. This helps to cleanse the teeth by removing plaque and tartar.